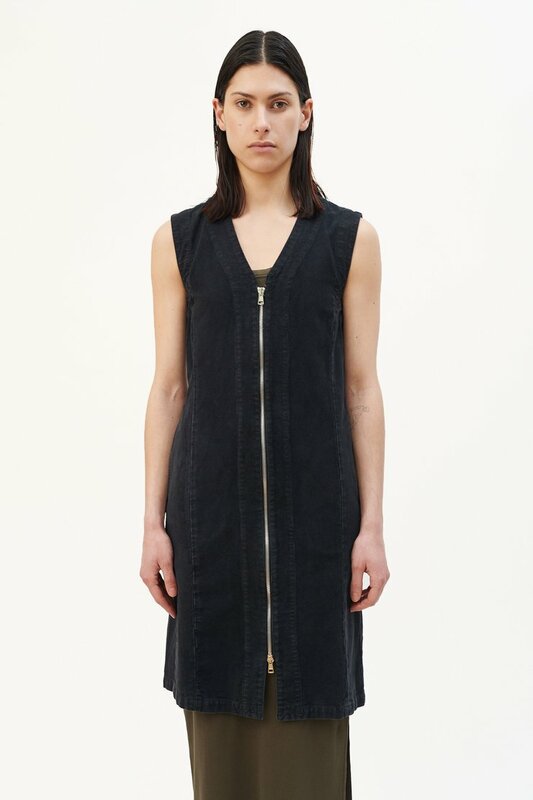 Our Lab Zip Dress in Washed Black. 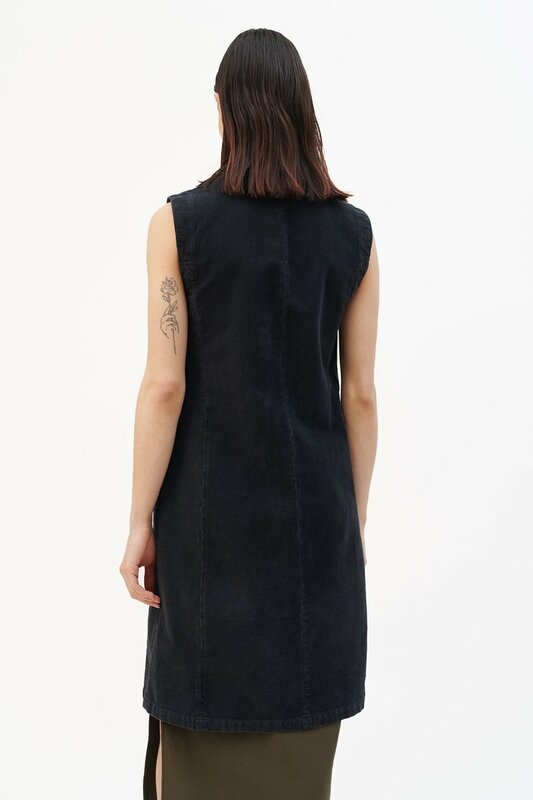 Produced in a washed Portuguese cotton fabric, the full zip womens Lab Dress has a straight fit and features a two way custom YKK zip and side seam pockets. Our Lab Zip Dress fits true to size with a . The model is 172 cm tall and wears a size 36.